Western desert sand is a decorative soil cover to add the final touch to container grown plants. The sand can be used indoors or outdoors to help retain soil moisture and reduce compaction caused by frequent watering. Clean, washed silica sand is excellent for formulating your own cactus soil need to mix with garden soil to create a loamy soil. This product weighs 2 quarts. 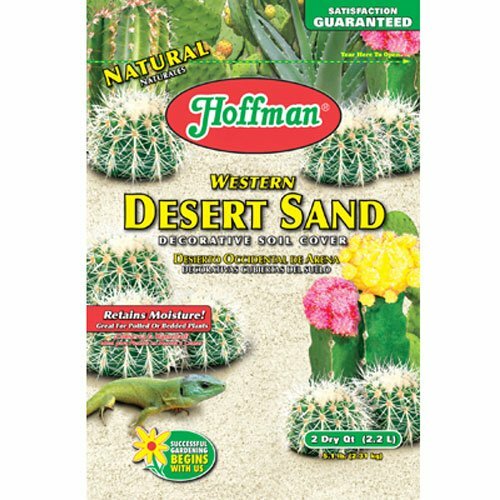 Clean, washed silica sand is excellent for formulating your own cactus soil. This product is not silica sand as suggested in the description!